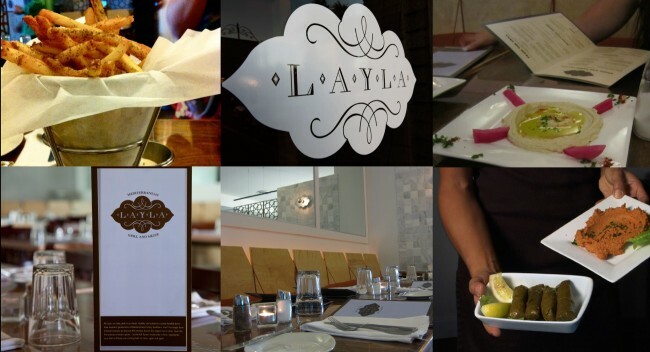 Logo Design and Visual identity developed by Tarek Atrissi Design for Layla Mediterranean restaurant in Utah, the United States. 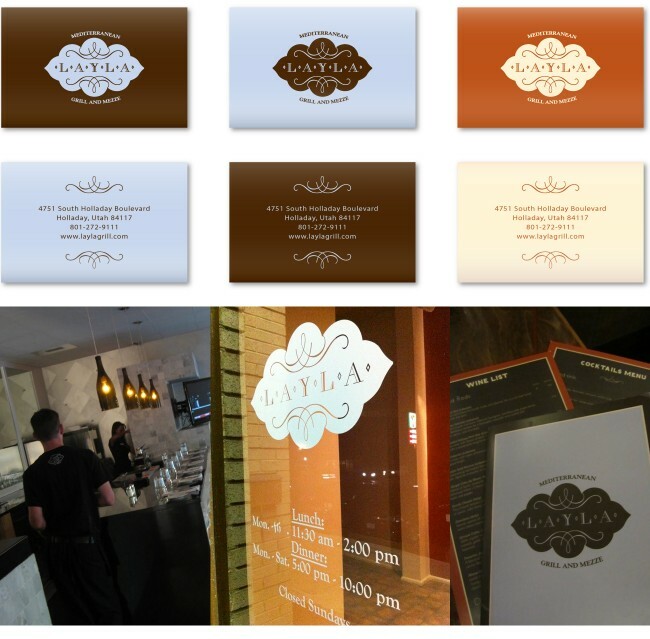 A full branding project for the newly renovated restaurant which covered logo design, identity guidelines, printed and 3D graphics, promotional items as well as website design. 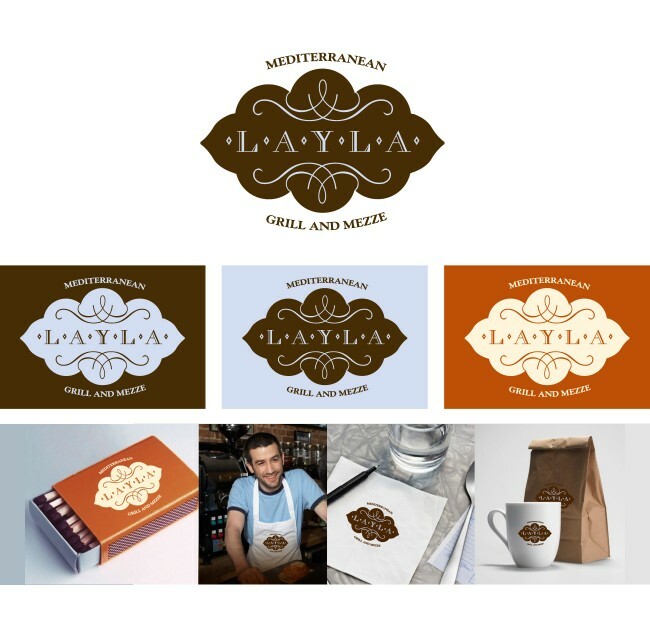 The identity of Layla restaurant used three corporate colors: Orange, brown and light blue, over which the simple ornamental logo is used in an appropriate contrasting color. This allowed the logo to be used in different colored versions on various applications, such as the multicolored business cards. The logo introduced in a subtle way elements of Mediterranean / Arab culture without being too Arabic. The identity helped shaped the atmosphere of the restaurant space, as it was applied on every detail, from signage to the menus, in addition to considering the color coordination of the interior. 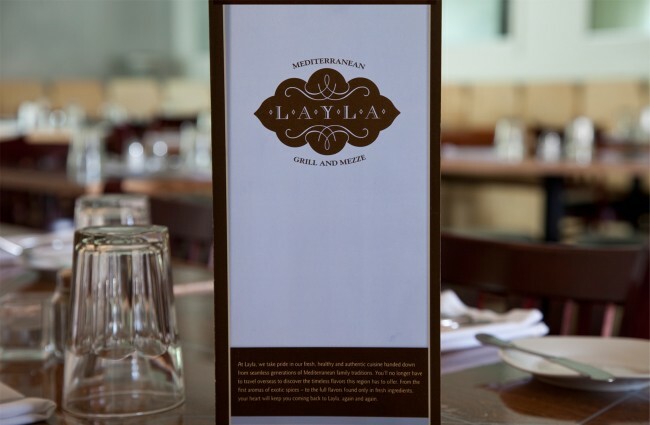 The three fold menu of Layla restaurant used a layouts, color usage and typography that fall within the overall spirit of the identity and following the typographic guidelines set for the visual language.